The Village of Lakeview assesses property taxes only once per year, with the bills being mailed out to addresses of record in the first week of July. Payment can be completed in person at the Village Offices at 315 N. Lincoln Avenue in downtown Lakeview, or can be mailed to P.O. Box 30, Lakeview, Michigan 48850. Village of Lakeview property taxes are due on September 14th of each year. The Village of Lakeview water/sewer system bills are sent out in the first week of each month, with payment being due on the 20th that month. Payments can be dropped off at the Village of Lakeview Offices at 315 N. Lincoln Avenue in downtown Lakeview during normal business hours, or dropped in the secure payment drop-box on the front of the building during off hours. There is also a secure drop-box located at the Washington Street entrance of the public parking lot adjacent to the Post Office. Payments can also be mailed to P.O. Box 30, Lakeview, Michigan 48850 or made directly from our website at the Online Bill Pay link under the “Connect” tab. Put Up a Shed, Deck, Garage, Fence, or Renovate the Exterior Of My House? In order to complete any construction or renovation on your property which will add vertical structures or change the footprint of any existing structure, you must complete and file a Zoning Permit Application at the Village Offices. These documents can be picked up at the Village Offices or downloaded directly from our Forms and Publications page. Once approved, this document may be taken to the Montcalm County Administration Building to present to the Building Department in the event a construction permit is required for your project. Change the Name On a Water Bill? In order to place an addresses water/sewer account in your name, you must come to the Village Offices and supply the Finance Department with proof of ownership or interest in this property. Acceptable documents include purchase agreements, deeds, lease agreements, or bills from other utilities in your name for the address. Report a Pothole, Blight, Trees That Need Trimming, or Other Issues? The Village of Lakeview makes every effort to maintain a quality of life reflective of a high level of public service, and we need your help. If you are reporting any issues you feel need our attention, please call 989-352-6322, send us a message here via our website, or find us on our Facebook page. If you require follow-up on your reported issue, please note that in your correspondence. Report a Water Main Break, Sewer Backup, or Other Water/Sewer Issues? If you see a water main or service line break anywhere in the Village or have a sewer backup in your home, please call (989) 854-2492 immediately. This is the Department of Public Works Emergency Line, and one of our staff will assist you. Attend a Village Council Meeting? The Village of Lakeview is governed under a Council-Manager local government model and residents are encouraged to attend monthly Council Meetings in order to stay informed on Village business. The Council meets on the second Monday of each month at 7:30pm in the Lakeview-Griffith Field Airport Terminal Building, off of Airport Road on the south side of the airport runway. 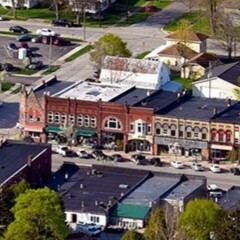 The Village of Lakeview works diligently to connect our private sector partners with information and resources. The Village maintains an available commercial properties catalog which can be requested electronically by messaging this web page, or by phone at (989) 352-6322. We strive to create an excellent environment for business, and would love to see you locate in our community! Check the "How Do I...?" Column. We've prepared some common Question/Answer scenarios that might be helpful to you. Check the Quick Links Column. These links connect you instantly to some of our most often-used website pages. Use the "Search Our Website" Page. Our search engine looks through every page, article, document and link posted on our website to help find exactly what you are looking for. Check the Menu Tabs at the Top of Each Page. All of our website pages appear under these tabs. We've organized them by use and topic. And of course, you can telephone Village offices anytime during business hours at (989) 352-6322. Our staff is happy to help with any question or concern.